Do you have questions about Professionalism in Georgia? If yes, the Commission’s staff is here to help! For help with planning your professionalism CLE, review the Commission’s CLE Planning Guidelines found here. If you have questions, call the Commission at (404) 225-5040. We are happy to assist you and to answer your questions. In September 2018, Karlise Yvette Grier became the Executive Director of the Chief Justice’s Commission on Professionalism, after the retirement of the previous Executive Director, Avarita Hanson. Prior to assuming her current position, Ms. Grier worked as the managing attorney of Grier Law Office, P.C., an Atlanta law firm that concentrated in the areas of adoption, divorce, and family law. Ms. Grier was appointed to serve as a part-time Magistrate Court judge in Fulton County and served as a Judicial Officer in the Fulton County Superior Court Family Division from May 2006 through December 2008. From March 2000 until June 2005, Ms. Grier served as a Judge Pro Hac Vice in the former City Court of Atlanta (“Traffic Court”). Ms. Grier served as the Vice Chair of the State Bar of Georgia’s Child Protection and Advocacy Section and the founding chair of the GABWA Family Law Section. She is a past president of the Georgia Association of Black Women Attorneys. Ms. Grier currently serves as the President for the League of Women Voters of Atlanta-Fulton County. She is a member of the 2015 Class of Leadership Atlanta. 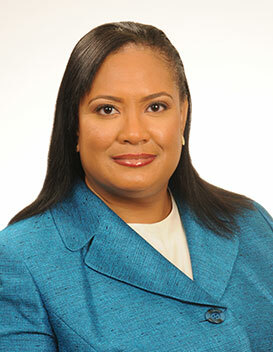 Ms. Grier received her Bachelor of Arts degree in Computer Science from Dartmouth College in 1986, and her law degree from the Emory University School of Law in 1992. She was admitted to the State Bar of Georgia in that same year. Ms. Grier was born and raised in Atlanta, Georgia, where she was graduated from Frederick Douglass High School. She is a member of Ben Hill United Methodist Church.